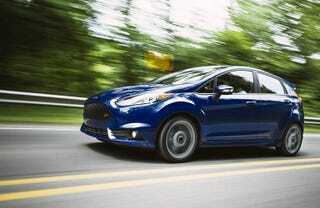 Kona Blue is no more for the Fiesta ST. Such a shame given how pretty it was. Now there’s “Orange Spice”. A color so off-putting I can’t find many pics of an actual painted fiesta ST, just a bunch of poorly photoshopped renders. Oh well, it’s still the most fun you can have in a FWD car under 25k.